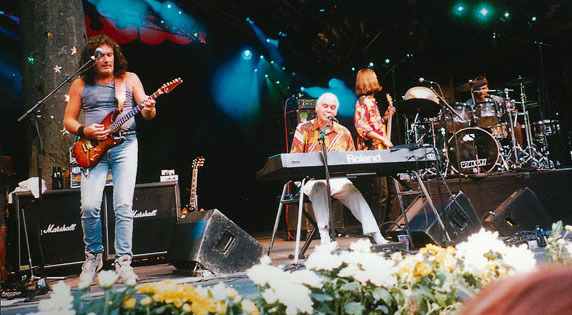 For those who did not catch this line-up (Procol Harum No 13, according to the marvellous pedigree chart here) in action, here are three pictures of the band on stage at Skanderborg Festival, August 1995. 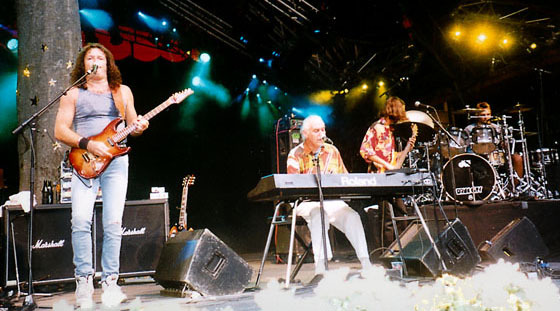 The line-up, left to right, is Matthew Fisher, Geoff Whitehorn, Gary Brooker, Matt Pegg, and Graham Broad: though they don't all appear in each picture. Thanks to Axel Leonhardt and Erik Palvig for these pictures.